Inhibitors of 11β-hydroxysteroid dehydrogenase type 1 (11β-HSD1), a microsomal enzyme that converts cortisone into cortisol, are being developed to treat diabetes and metabolic disorders and now, in a study supported by the Wellcome Trust, researchers at the University of Edinburgh have shown that such compounds may also help to reduce – or even reverse – age-related memory loss. Such memory loss has been linked to increased activity of 11β-HSD1 and higher levels of glucocorticoids in the hippocamus, an area of the brain associated with memory. Ageing mice display deficits in memory and learning similar to those experienced by some elderly people and life-long partial deficiency of 11β-HSD1 prevents this decline in transgenic mice. More surprisingly, improvements in memory – as judged by performance in a Y maze – were seen in mice after only ten days treatment with a selective 11β-HSD1 inhibitor, UE1961. The team had previously shown that a non-selective 11β-HSD1 inhibitor, carbenoxolone, improves memory in healthy elderly men and in patients with type II diabetes after only one month of treatment. 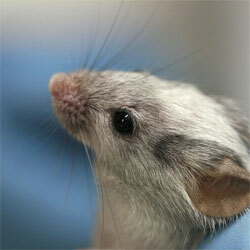 They now hope to complete preclinical assessment of the new compound and begin clinical trials within a year. The study is published in the Journal of Neuroscience.